It's amazing what you can find on Ebay, unfortunately, it had sold by the time I came across it! But, thanks to an extremely helpful coin/medal dealer in America, we now have pictures of a job that Platform One designed for the Royal Mint after winning a competition in 1988. 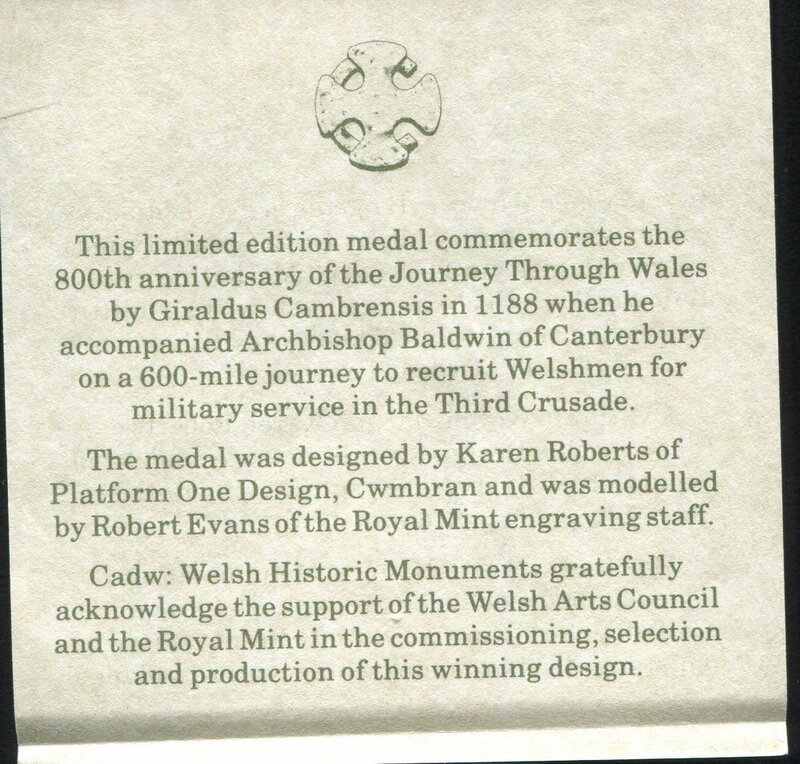 This limited edition medal commemorates Gerald Of Wales.